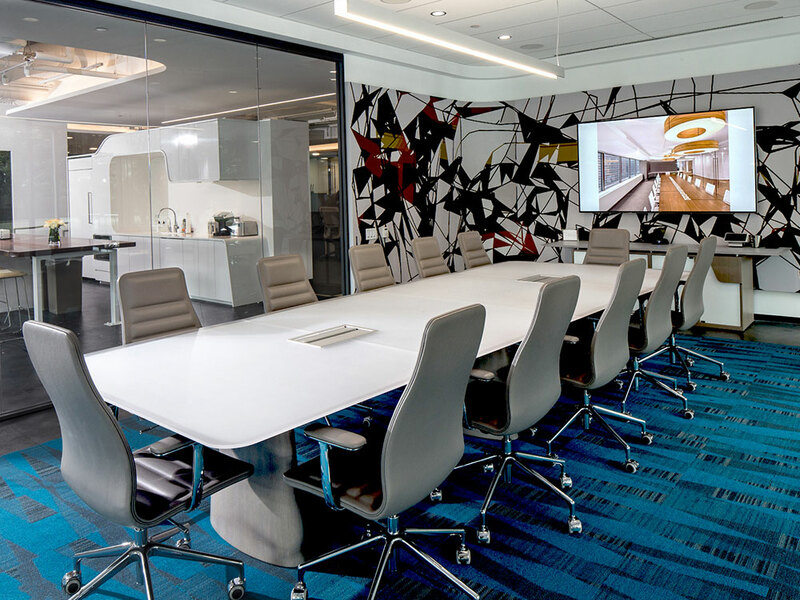 Interior Office Solutions, Inc. is a full service commercial office furnishings dealership with locations in Los Angeles, Irvine, and Portland Oregon. 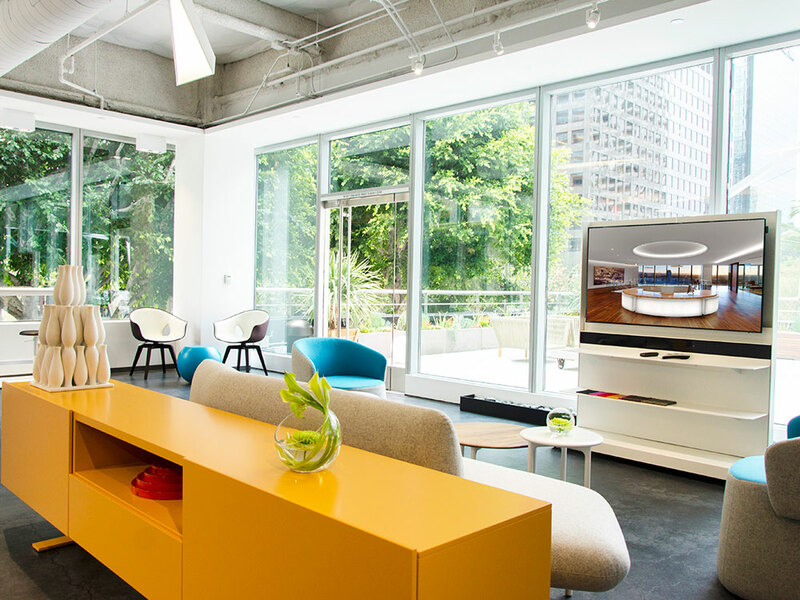 Felderman Keatinge + Associates designed a truly inspiring and unique working showroom displaying products IOS offers, as well as creating a beautiful and inviting venue to host industry and community based events. 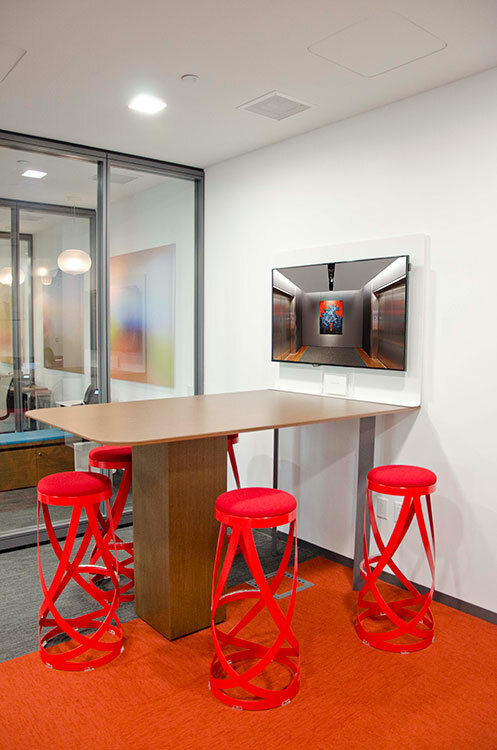 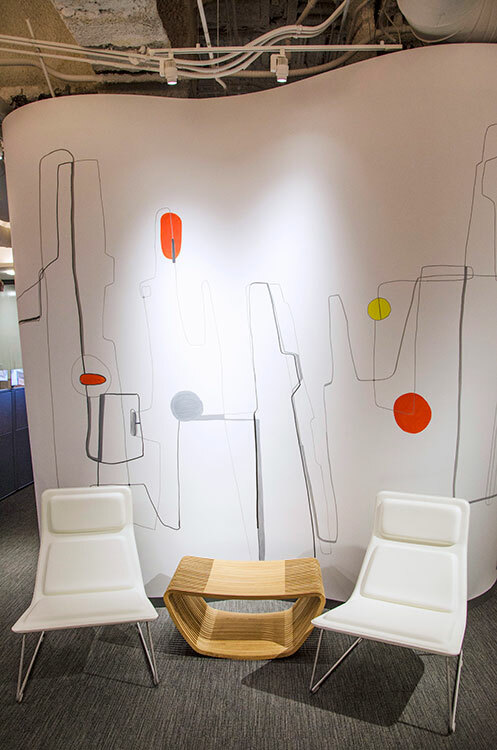 Stanley Felderman’s art is displayed throughout in the form of murals on the walls and the columns adding to the visual acoustics in the space and to the wellbeing of its employees. 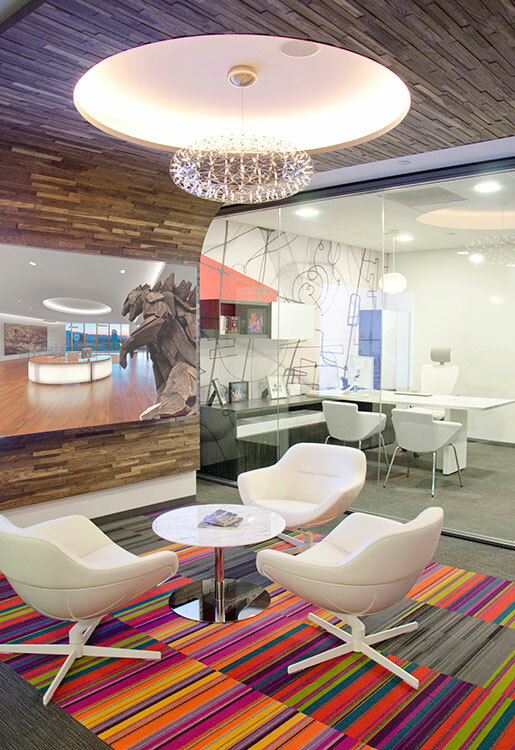 Flexibility for expanding and reconfiguring this true working showroom and office environment, encouraging collaboration through numerous informal meeting areas, including a beautiful café/wine bar, and the health and wellbeing of IOS team members were all key objectives in the design of the space. 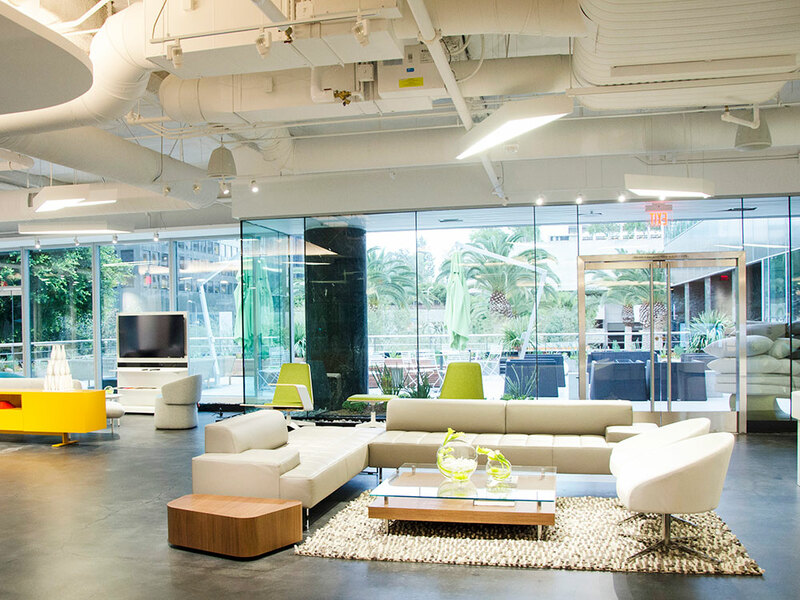 A beautiful combination of open, airy indoor space, natural light, and a private outdoor patio landscaped with succulents, and a view of the street and plaza below; make this a truly unique Downtown Los Angeles setting.